"With monsoons reducing fire danger and the Las Conchas fire 95 percent contained, the Forest Service will re-open parts of the Santa Fe Forest starting Saturday." -update on the trail status in northern New Mexico. Finally! "It was still an enchanted land... from their vantage point at Los Alamos, raised high above the world, even something as simple as the sunset behind the Jemez peaks became terrifyingly beautiful in its great sweep of color and sky." -another line from 109 East Palace. 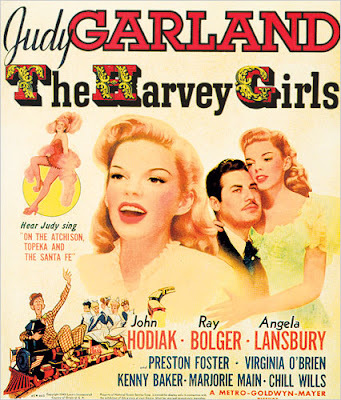 "You look like a Harvey Girl." -a lady at the bus stop comments on my dress. Of course I had no idea what she was referring to, so I smiled politely and the Googled "Harvey Girl" as soon as I got to work. Judy Garland popped up, so I guess I'll take it as a compliment. 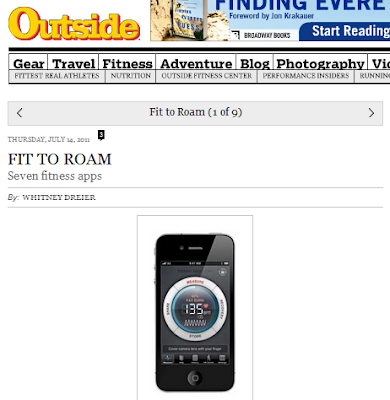 "Fit to Roam: Seven fitness apps." Yes, I wrote this, despite the fact that I will never use any of them (some people are just not smartphone people). "Don't you think I was made for you? I feel like you had me ordered -- and I was delivered to you -- to be worn -- I want you to wear me like a watch-chain or button-hole bouquet -- to the world." -Zelda Fitzgerald to F. Scott Fitzgerald; the two were married in 1920. "So the altitude of 7,300 feet made some people woozy. So water boiled at 198 degrees Fahrenheit, foods took forever to cook, and a simple meal of meat and potatoes might take three hours to prepare. It wasn't the end of the world." -from 109 East Palace, the story of Robert Oppenheimer and the Secret City of Los Alamos. Some things haven't changed. Might as well mention this one, too: "Los Alamositis, the result of so many people from different parts of the world coming together on the mesa and pooling their germs." "Are you rushing again?" -an old man who gets off the bus in Santa Fe with me. He asks me this question every day, and every day I tell him I'm going to work. Must be nice to be retired and not always be in a hurry to get somewhere. "It will be there when you get there." -an older woman's casual response to another lady's frantic realization that she was going to be late for work (overheard in the locker room). "On December 24, 2009, a 6,600-pound orca killed trainer Alexis Martinez at a marine park in the Canary Islands. Two months later, trainer Dawn Brancheau was killed by an orca at SeaWorld Orlando. Should Martinez's death have served as a warning about the lethal potential of killer whales being trained for our entertainment? Tim Zimmermann investigates." -I received the first draft of this story on April 8. More than three months later, here's the final version. Wow, that was a lot of fact checking (and lawyer meetings and e-mails and phone calls and sleepless nights thinking about orcas)! "A change in our climate...is taking place very sensibly. Both heats and colds are become much more moderate within the memory of the middle-aged. Snows are less frequent and less deep...The elderly inform me the earth used to be covered with snow about three months in every year. The rivers, which then seldom failed to freeze over in the course of the winter, scarcely ever do so now." -Thomas Jefferson, who apparently recorded the temperature twice a day for 50 years. Read more at Smithsonianmag.com. Me: It's illegal to ride your bike on the sidewalk. Boy #1 (with attitude): Illegal according to who? "It does't come in purse-size." -a very serious comment from Patty about bear spray. Good thing the Outside crew didn't need it on our hike to Ruybald Lake yesterday. "Writing is like getting married. One should never commit oneself until one is amazed at one's luck." -Iris Murdoch. "The next boat that comes down at such high speed will need two pilots, as we intend to kill the first one. Our guards are armed with Winchesters and they have orders to shoot to kill." 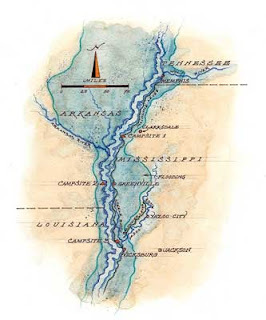 -an anonymous telegram sent to the Governor of Louisiana during the 1927 Mississippi Flood. Find out how that event compares to this year's flood in this Outside story that I fact checked. 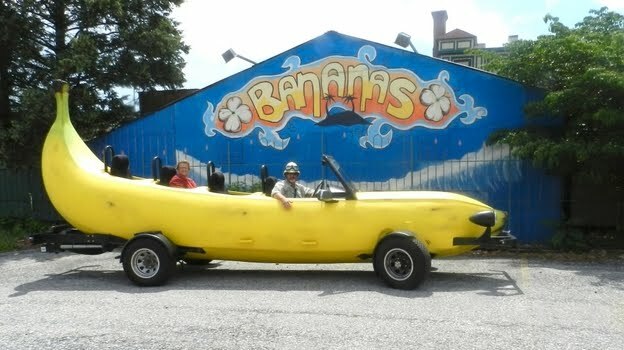 "I'd never really noticed it before, but a lot of the bananas, instead of being that curvy boomerang shape that you think of, they actually curved at the back but then they ran fairly straight." -Steve Braithwaite, who is driving his banana car around the world. Read more on NPR. "That's what happens to me when I yell at my husband too much." -a woman's reaction to my lack of a voice (at first she through I was just being rude by not saying good morning). "Sunset at the end of a rough week. While we won't be coming back to the same place, we're definitely coming back to a stronger community." -caption on a photo of Los Alamos. "Please know I am quite aware of the hazards. I want to do it because I want to do it. Women must try to do things as men have tried. When they fail, their failure must be but a challenge to others." 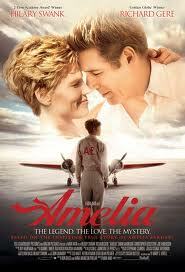 -a letter from Amelia Earhart to her husband; her (unsuccessful) flight round the world was 74 years ago yesterday. 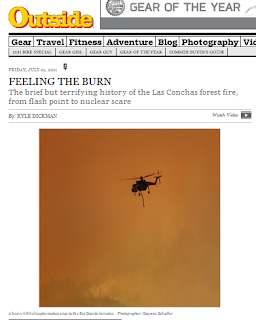 "For the time being, it seems unlikely that Las Conchas will burn LANL or Los Alamos. But the fire is only 3 percent contained. 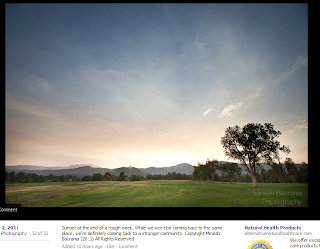 As of Friday, it had destroyed 103,842 acres." 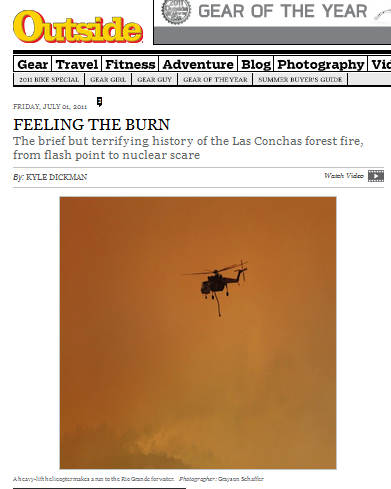 -get the details of New Mexico's biggest wildfire at Outside.com. Sign at Gabriel's, a restaurant north of Santa Fe: Unattended Children will be given an espresso and a free puppy.